Distracted driving. There’s a common misconception today, that truckers are the bad drivers on our highways and cause many of the accidents. This statement couldn’t be further from the truth. Tractor trailers are not the main cause of our dangerous roads. Distracted driving and bad drivers of passenger vehicles, though, are a big hazard on our roads. It never ceases to amaze me the number of people who have a driver’s license and completely lack any driving skill or common sense when behind the wheel. Technology has advanced our world beyond belief, and at the same time, it has also made our highways, much more dangerous…. the use of cell phones and texting while driving are a dangerous mix. Distracted driving kills. I’m not just targeting young, inexperienced drivers, who are often blamed for distracted driving while driving personal passenger vehicles. There are bad drivers on our highways of all ages and experience levels. And distracted driving is nothing new. On any given day on the highway, it’s not uncommon to see car drivers without any hands on the wheel, for brief or extended periods of time. Drivers attempt to drive without any hands on the steering wheel, and drive with their ‘knees’…….. they may be fixing their hair in the mirror, adjusting their glasses, looking at the kids in the back seat, talking with their hands, eating a burger with one hand and shlurping on a shake with the other, while texting, or talking on a cell phone. It doesn’t take a brain surgeon to know that these are very, very dangerous practices. But, they are far too common. This lack of attention while behind the wheel is a very serious problem on our roads today. Ever see a vehicle with a sign in the back window reading ‘baby on board’? I often wonder if the driver thinks that the sign gives them a license to drive like a fool. I often see vehicles with these signs, weaving in traffic and speeding. Are they asking other drivers to have special regard for the child’s safety, when they as the driver of the vehicle, drive erratically? Many drivers are guilty of this one. They don’t watch the road ahead! Drivers talking to passengers, making radio adjustments, lighting a smoke, or drivers turned around to tend to children in the back seat. Another common sight? Drivers weaving in and out of traffic, erratic driving, passing big trucks on the right side, or on the shoulder of the road. These practices are all considered distracted driving…. they are all considered dangerous driving. There’s no one better to tell you what really goes on out on our highways, than a trucker. It’s hard to believe what folks actually try to do ‘while they are driving a vehicle’. Truckers certainly have their work cut out for them on a daily basis. They deal with brand new drivers with minimal experience, seniors with limited physical abilities, hot-headed drivers, speeding cars, distracted drivers and drivers that just lack for any trace of driving skills whatsoever. The government doesn’t dare scrutinize car drivers or have them retrained or tested very often, because the public outcry would be unbelievable. The highway patrol and police forces do their best. Their role in controlling driver stupidity is limited. They don’t see everything that goes on inside passenger vehicles either. Truckers are already under close scrutiny. How many more rules can we impose on them? We slap them with more and more rules, bigger fines, yet many claim our roads are still dangerous. Why? Because we’re putting the focus on the wrong issue. The trucks are not the root cause. The issue should be to eliminate BAD DRIVERS of cars and semi trucks, and to nail down and drag before the courts, the forces behind the scenes, that contribute to tired, frustrated, underpaid truckers. Solution 1 — Passenger vehicle driver training and road testing regs need to be changed. We need more comprehensive driver training for passenger vehicles. These drivers need to be taught how to share the highway with semi trucks and learn NOT to challenge them. They need to learn what big trucks can and can’t do, and learn to stay the heck away from them. Solution 2 — Throwing the book at the trucker for every little thing, at every opportunity, will not make the roads safer. There are very few big trucks involved in accidents with passenger vehicles, a very, very low percentage, in fact. 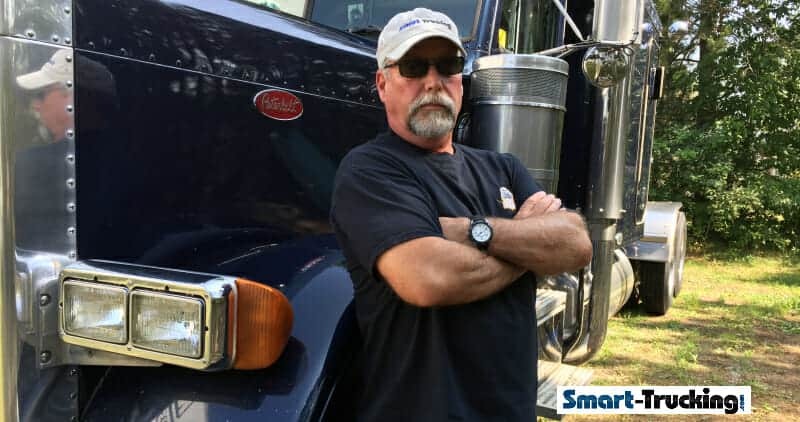 Out of these accidents, only a few are the fault of the trucker, leaving statistics to show a high number of all accidents involving tractor trailers, are the fault of the passenger vehicle driver…. a statistic that most of North America is unaware. It’s no longer a dirty secret, but now just the well-known dirty truth, that the trucking industry is a tough, money driven industry. Shippers and manufacturers make ridiculous, unrealistic demands of trucking companies and truckers. If a carrier isn’t able to meet the shippers demands and expectations for a certain price, they’ll drop them like a hot stone, because they’ll be plenty more carriers lined up at the door for the work. Accident investigation involving semi trucks, need to go much deeper than what the trucker was doing at the time of the accident, or 20 minutes before, or scrutinizing the log books. The trucking accident attorney heading up the investigation of a semi truck accident, needs to dig up the details on the unrealistic impossible schedules which are demanded by the shipper of the freight and find out how long the shippers frequently detain the trucker, while loading. Place the blame where it belongs. The shippers and their sales team must be forced to answer, and must be put under the microscope. This is where much of the problem lies. Correct the ‘core issue’, and much of the so-called ‘safety issues’ will improve drastically. HOLD SHIPPERS ACCOUNTABLE! Solution 3 — Ironically, in the U.S., recent legislation is being enforced to ban commercial vehicle drivers from using a cell phone or texting while driving, in order to eliminate distracted driving by truck drivers. 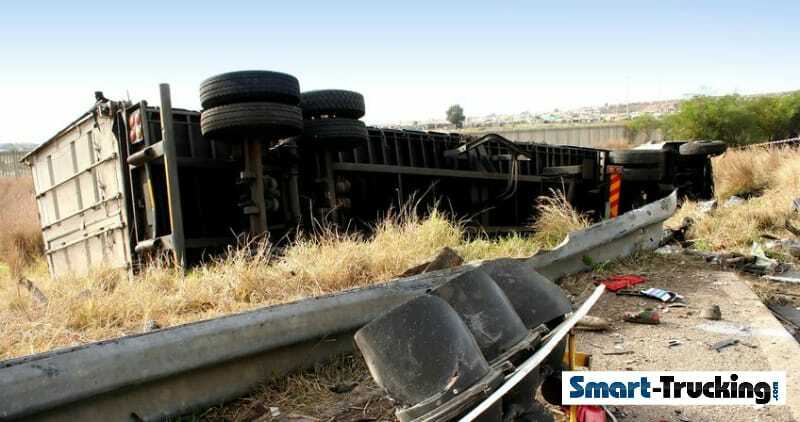 The matter was expedited due to a single truck crash where the truck driver was allegedly found to be guilty of texting while operating a commercial vehicle, specifically texting, at the time of the accident. Yet stats show it’s the 4 wheelers in most cases, that are guilty of dangerous driving. Ban handheld devices for passenger vehicles, too. There’s no logical reason for a trucker to tolerate bad car drivers on the road. However, truck drivers are victims of a vicious system. They shoulder the blame thrown at them by a system that is way less than perfect. However, judgment day will come in this industry. When it does, those parties that are truly responsible for the deterioration of the trucking industry, shall be forced to take their share of the blame for our dangerous roads. When that happens, then justice will be done. Time Sensitive Freight in the Trucking Industry – Who’s Responsible For Safety? Truckers + Four Wheelers – Are They Treated Equally?